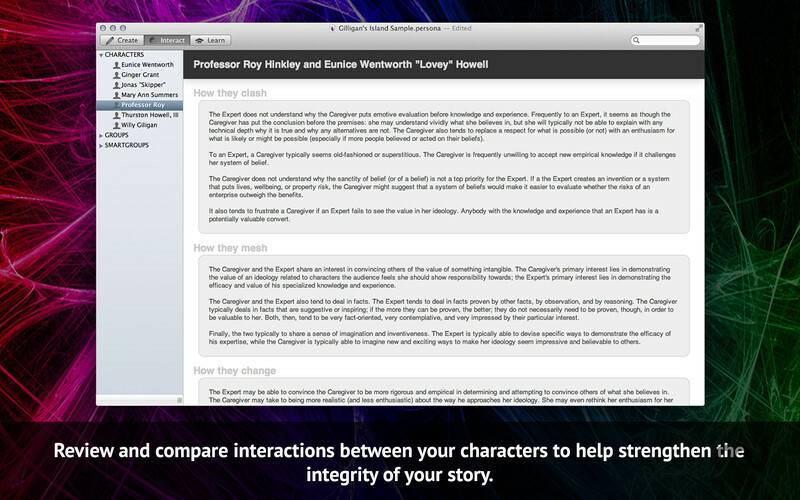 Tool to help develop characters while writing. Is there a better alternative to Persona? Is Persona really the best app in Word Processing category? 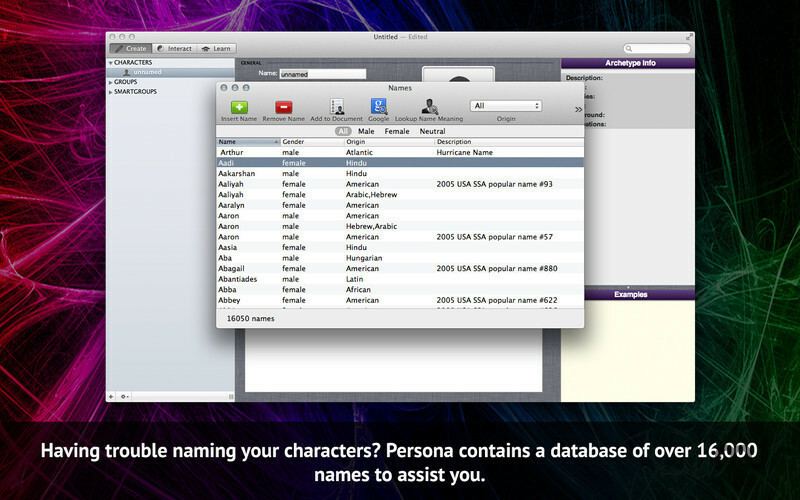 Will Persona work good on macOS 10.13.4? Persona needs a rating. Be the first to rate this app and get the discussion started! 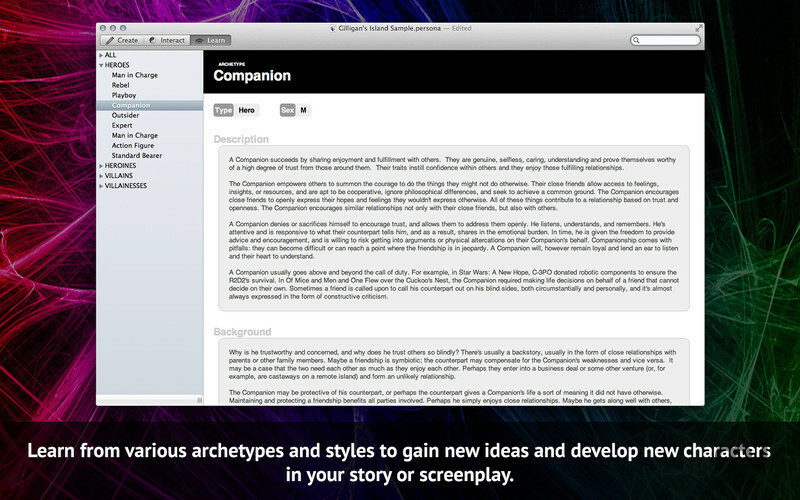 Persona is an innovative character development tool for fiction writers. Persona aids you in crafting archetypal themed characters and plots by using time-honored psychological principles to describe the motivations and interactions between different characterizations of people. Whether your story's hero is a brainiac talking fish or your villainess is an outcast orphanage owner, Persona helps you explore how each character's unique psychology and background influences their dealings and dialogue. Readers long for engrossing, character-driven narratives, but even the most experienced storytellers struggle to create strong, compelling characters. Persona is a unique and inspiring app that helps you organize and centralize your character data. 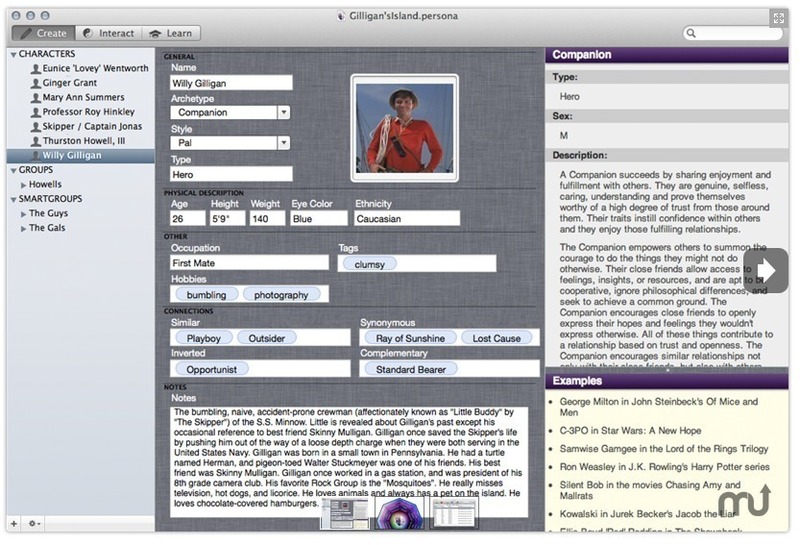 Categorize characters by archetypes, fill in crucial background data, and more. 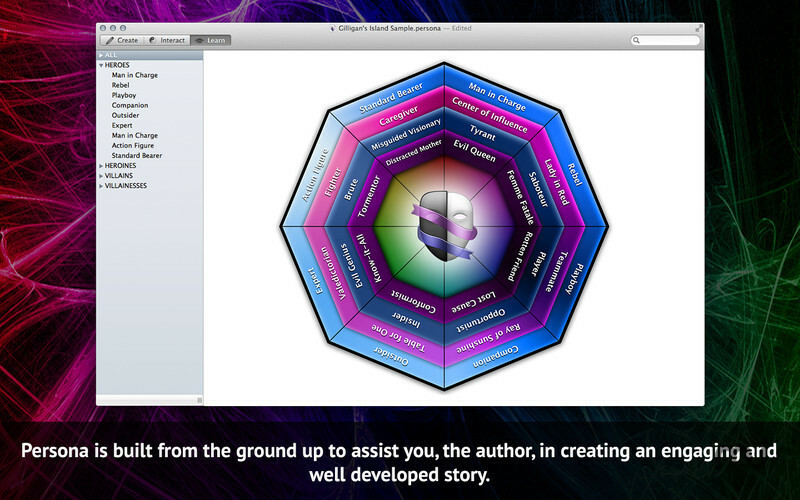 If lack of inspiration is hurting your craft, you need a creative kickstart -- get Persona today!